Movies such as “Jurassic Park”, “Mad Max”, “Clash of the Titans” and “Beauty and the Beast” have been known as blockbuster hits. These films had excellent performers with well thought-out story plots and great character development. As technology advances, so does the quality in films. Today, movies have better effects, sound, producers and actors who utilize this technology. Studio productions have taken this technology and used it towards their advantage to remake popular movies. Remade movies have been growing in popularity because of guaranteed profit, the success of some rebooted films and rejuvenates brand marketing. Why do movie studios invest money in rebooted films? The trend lately has been for studios to take already successful movies and remake those films to turn a guaranteed profit. 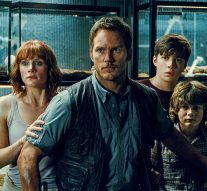 “Jurassic Park” grossed $1,038,812,584 world-wide, while it’s remake, “Jurassic World” grossed $1,671,640,593 worldwide. The original version of “Beauty and The Beast”, which came out in 1991, grossed $424,967,620. The remake, in 2017, grossed $456,835,916. The appeal of a reboot is that the original movie was a success that came with a built-in audience, so it is only natural for a reboot to attract that audience and a new crowd. In the early days of Hollywood, classic films such as “To Kill a Mocking Bird”, “The Birds” and “The Wizard of Oz” were adopted from books with a built-in audience. These films were declared original movies, but the reason for their financial success is that the audience wanted to see their favorite books turned into a movie. Movie reviewers complain that film studios only produce safe bets, such as prequels, sequels and reboots and do not take any chances in producing an original movie. At one time, film-making was considered an art form, but in reality, it is now a business. Movie reviewers as well as die-hard fans usually say “a remade film will never be as good as the original”. It is true that most remade films are not as successful as the original, but there have been a few successes. The movie “Scarface”, which came out in 1983, is a remake of the original film which was made in 1932. The 2001 version of “Ocean’s Eleven” is a remake of the 1960s version. A final example of a successful remake is the 1986 version of “The Fly” that was based on the 1958 original. What made these remakes successful, was better script-writing, more artistic freedom, and the use of more explicit material due to the passage of time. The success of a remake is the use of bigger Hollywood budgets and advanced technology. With today’s technology, studios can transport the movie and goes deeper into the story line of the film. With the advancement of computer graphics, the movie experience is more adventures than an everyday life. Adding to the success of a rebooted film is the rejuvenation of the brand. Selling toys, apparel and memorabilia adds to the financial success of the remake. Fans who loved the original film would want to share the experience with new viewers, thereby attracting a new audience, which adds more profit to the remade film. Merchandising is a huge part in the success of a rebooted movie. “Spider-Man” remakes have made $155 million dollars on merchandising alone, while “Batman” remakes have brought in $245 million dollars in merchandising. With this type of monetary success, there is no reason for movie studios to stop remaking movies. Rebooted films are becoming a trend in Hollywood. Studios are spending more time and money in remaking films so they can earn a higher profit. Not all reboots were successful in making money, but some captured the heart and beauty from the original that the film deserves to be respected as equally as the first. With rebooted films becoming more popular, studios use this opportunity to supply merchandise and memorabilia to attract a new audience. It looks like studios will keep on producing more remakes and reboots. There will be some films that do not live up to the original, but if certain remakes are taken care of in the hands of someone who is devoted in making films live up to the original, then it wouldn’t hurt to keep an open-mind.